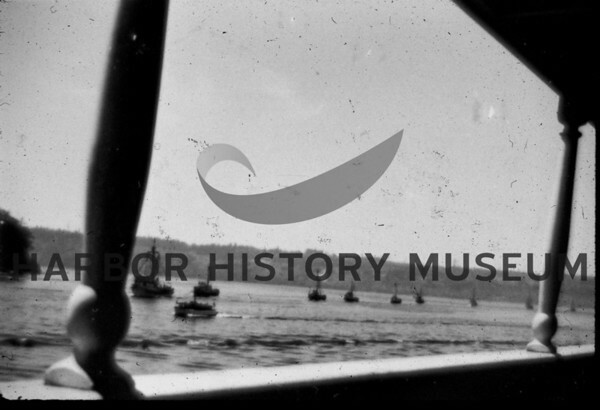 Celebration at last ferry run when 1st Narrows Bridge opened 6/30/40. Small boats; taken from ferry "Skansonia". Source: Elmer Carlson. Gig HarborferriesSkansonialast ferry run 63040celebrationfirst Narrows Bridge.